Many of us drive nearly every day. Even if you haven't had a breakdown, accident or other roadside emergency yourself, odds are you've seen or at least heard of an accident or disabled car. Driving long distance whether for work or on vacation adds to your risk. Having a basic roadside emergency kit in your car or truck is important for you and those you may end up helping. Think about what you might deal with, and if you have the training to handle a situation. 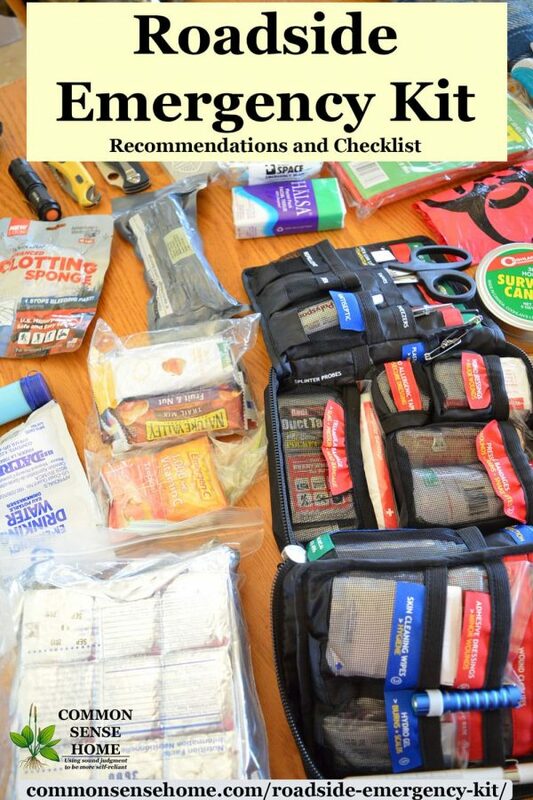 Then stock your roadside kit so you have what you need and can use. 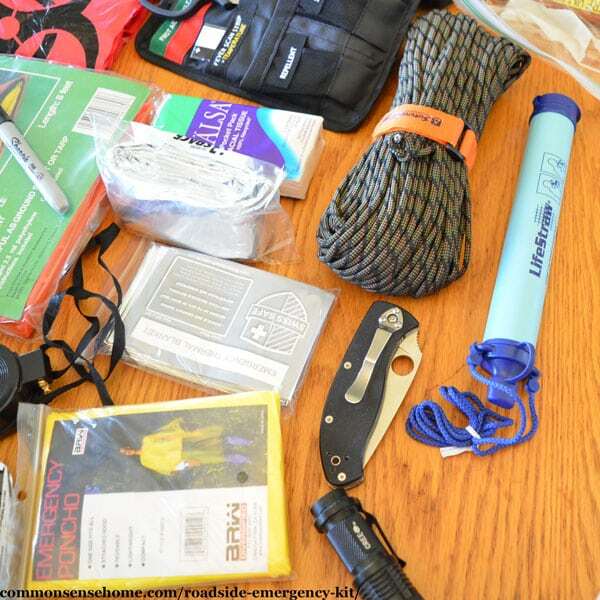 What should be in my Roadside Emergency Kit? 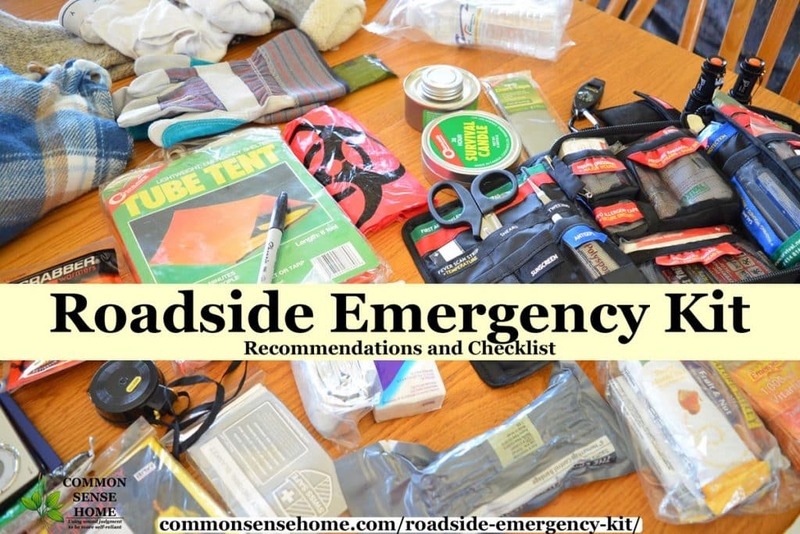 What should be in a full Roadside Emergency Kit? Over the years we have increased the items we carry around in the trunk of our cars or back of the van. These are our top recommendations. Items with the “must have” red tag are suggested for all vehicles. One or two good knives. We suggest a rescue knife in the driver's side door, glove compartment, or any other location within reach of the driver. The Buck rescue knife is crazy sharp, and features both a seat belt cutter and window breaker – if it's out of stock or not a good fit for you, we've got some other options listed as well. TIP: The headrest on most cars can be pulled off and the metal “spikes” can break the glass of a window. The neutral white ThruNite. These are VERY bright and we like the simplicity, brightness and quality. 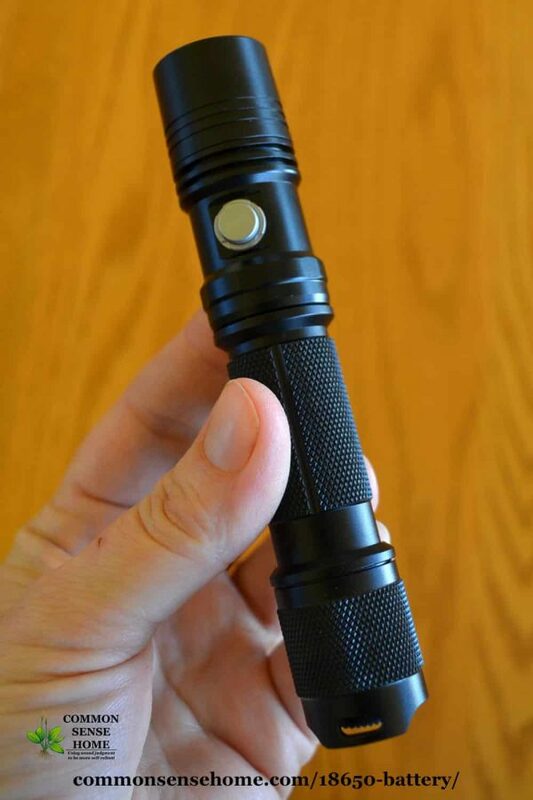 The ThruNite flashlight requires 18650 batteries and you will need a charger also. The tiny Lumintop EDC 01. Very small keychain type flashlight that uses AAA batteries. Nitecore Tini 380 is a super bright key-chain sized flashlight and is rechargeable using mini USB. Tire pressure gauge You need to be able to check your tire pressure. We recommend a manual one. Basic toolkit or advanced kit, although most cars are complicated enough that we may not be able to fix them, we can use the toolkit to make very minor or temporary repairs. I have had my mirror torn off or damaged by deer or other animals or debris numerous times so far in my life, and duct tape and a tool kit let me repair it temporarily a few of those times. You need to know how to perform basic first aid. If you don't know how, get First Aid training online or attend classes for $25 to $200. When you buy a first aid kit, learn how to use everything inside that kit. A vehicle first aid kit should have all the items you need to handle serious injures. Injuries such as controlling serious bleeding, managing burns, head injuries. dealing with broken bones and of course handling minor emergencies. The kit should also help with managing shock and even dealing with cardiac arrest. You might want to have a tiny first aid kit in your get home bag and larger safety kits in the car. 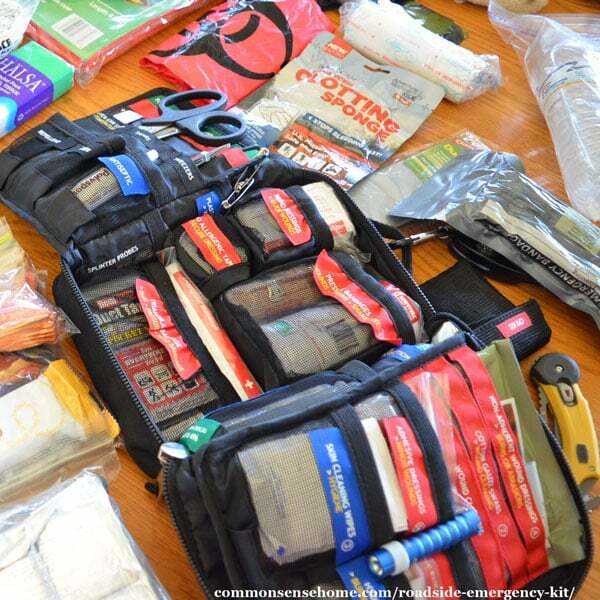 Every roadside emergency kit needs a first aid kit to help you and others until help arrives. These first aid kits: Traveller First Aid Kit, SurviveWare First Aid Kit and Delta Provision Co. Tactical First Aid Kit are three good “small kits”. The 12 survivors roll is our favorite medium sized first aid kit, but it requires you to add items. For more information on other smaller, medium and larger First Aid kits see the Best First Aid Kit or Build Your Own Custom First Aid Kit posts. Don't forget, personal prescriptions, medications and other items like inhalers or an EpiPen and/or feminine supplies as needed. Remember heat can break down medication so be careful what you store in your car in summer heat. 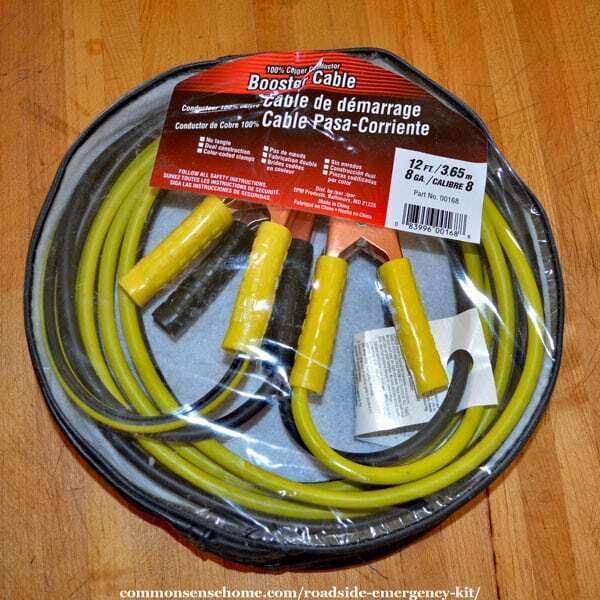 Tire Iron and a heavy duty scissor car jack Note: some cars come with a single arm tire iron. Road Flares or Road Flags Electronic Road Flares these avoid the risk of fire but require 6 AAA batteries (Lithium or Rechargeable) and you might also want Road warning flags because they don't have batteries. Toilet Paper. The #1 thing you need in the car kit are a few rolls of toilet paper (just in case). You can use individually wrapped singles or just buy a bulk pack and put a couple rolls in ziplock bags. A family friend was in World War II and he said “the 1st time we went in, we carried all the ammo we could. The 2nd time we went in, we carried all the toilet paper we could.” Take his advice. An alternative or supplement is compressed tissues, which can be used effectively as more than just toilet paper, but require water to expand. Other things to consider are: a toothbrush, floss and toothpaste. Wool Blanket wool will stay warm even when somewhat wet, and even if you have a sleeping bag – it makes a good ground liner if you aren't in your vehicle. A wool blanket can also be used to put out a fire (it won't burn easily). Small Pillow in case you have to sleep in the car or want to just take a quick nap. Consider items such as: Lip balm, chewing gun and/or hard candies. Regional paper maps (track down your state), in case your cellphone dies or GPS doesn’t work for some reason. Rand McNally still makes state maps but they are getting harder to find. If at all possible try wearing the backpack before you purchase it. We recommend the ARMYCAMOUSA Day Tactical Backpack which holds 2470 cubic inches. We have this one and like it. Just big enough for two people or for bulky winter items for one. It has multiple compartments and a belt strap in case you need to hike home in an emergency. If you need a bigger one the TETON Sports Scout 3400 gives you 3400 cu inches of storage. If you are packing everything and the kitchen sink consider the High Sierra Long Trail 90L Top Load Internal Frame Backpack which provides 5400 cubic inches of storage. Duct Tape Duct Tape has an insane number of uses. It is like the force, it has a light side and dark side and binds the universe together. Have at least two rolls. It can seal a crack in a window, hold on a broken mirror, tape a trunk shut or in first aid situations: immobilize a limb, create temporary splints and even bandages. We keep a couple of rolls and have been happy to have them in the car and van many times. Small Journal (or simply a pen or pencil) and spiral note pad. Waterproof tablecloth or other clean surface to eat on or use as a safe clean work surface, or even a tarp. Extra AA and AAA batteries. If you don't want to deal with rechargeable batteries consider the Energizer Ultimate Lithium which may last up to 15 years in storage. Multi-function whistle with a compass, tiny magnifying glass and thermostat – the whistle is the key to get attention if your vehicle leaves the road. BIC Lighters or waterproof matches or even flint & steel to start a fire. You can pack an old toilet paper cardboard roll with an old crayon in it surrounded by dryer lint. This roll will start a fire pretty much guaranteed and is tiny. The crayon burns like a fast candle (be careful). A towel wrapped around a few cloth diapers or wash cloths is a great add on. You can use the wipes to clean up and towel to dry off. Moist wipes are a good option also, a small package can help clean up a mess. Use a tarp, emergency blanket or shades to reduce the temperature in a vehicle or to create shade with rope and duct tape outside or near a vehicle. For more related information, click here for the Winter Car Kit Post. Include a full change of clothes. Make sure you pack comfortable winter or summer clothes including socks and underwear. You need this in case you must walk home and aren't wearing the right clothes. Store the clothes in a plastic bag. Pack layers for variable weather. It should include walking shoes (or winter/summer walking boots) underwear, pants, socks, shirt and hat appropriate to the season. Pack a candle in a metal container with waterproof matches and/ or Sterno – You can use this for heat or melting snow for water, or just keeping you from freezing. In extreme heat a tarp or shade is a good addition also. Consider a Metal cup – for melting snow or scooping water to filter with your Lifestraw. You should also have a “Get Home Bag” in your car. It could be as simple as repacking the backpack you already have in your trunk with items to get you home. Or it could be a purpose assembled seasonal bag exclusively designed to get you home over long distance. In most cases you will want to “steal” items from your car kit to supplement or “finalize” your get home bag. If you have the space, funds and time, it is best the get home bag is a custom kit you can grab and go. 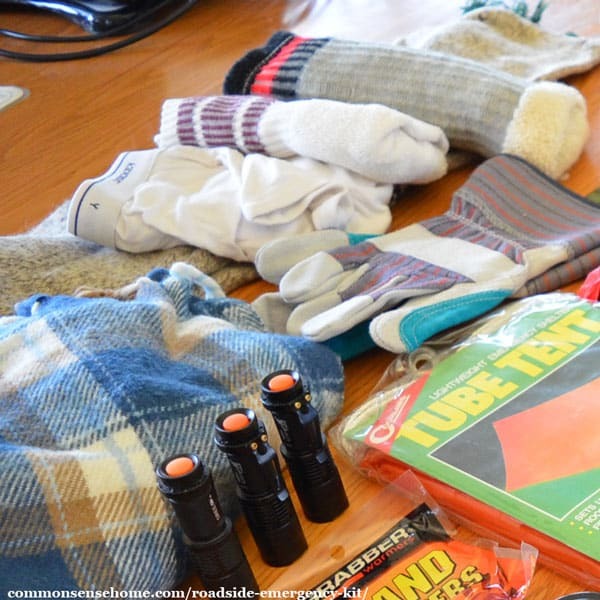 The Get Home Bag is similar to a Bug Out Bag. Review the lists and select those items that make the most sense for your needs. Pack groups of items inside freezer zip lock bags. The empty bags can be used for other items and garbage. They can also be a safe spot to put your cellphone or other small items in a rainstorm or snowstorm. Pack these small kits into backpack or tote to keep things organized and not use up your whole trunk. It's been a motto of mine for many years to “hope for the best but prepare for the worst”. Hopefully you won’t ever have a major roadside emergency, but if you do run into trouble, you'll be glad you were prepared. Leave a comment and let us know if we missed any “must have” items you like to keep on hand for peace of mind while traveling or commuting.